It’s a bit rough, but I haven’t slept. I know this is really rough, but I’m so tired. It was such a beautiful day that I didn’t want to waste it sleeping, but I’m half delerious at the moment. Your delerious sketching is better than anything i could ever do in my best moment! 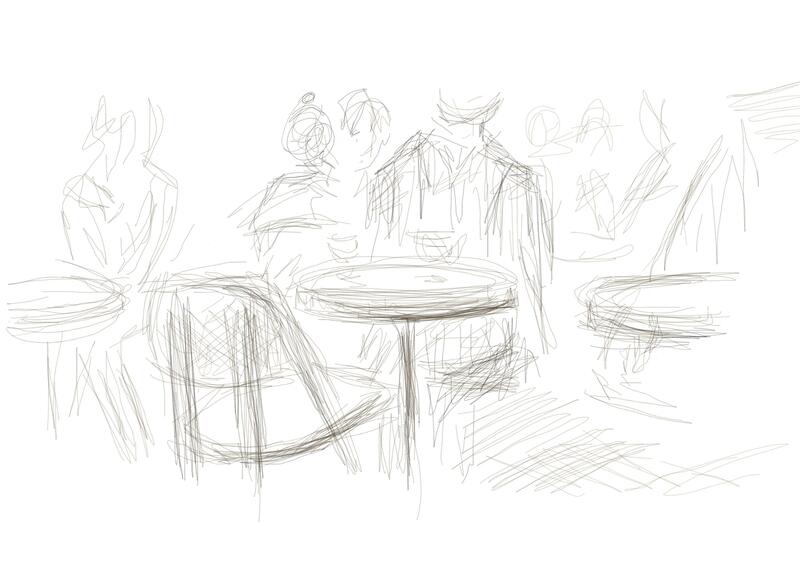 Love the sketch and of course the reminder of how much fun it is sitting in a cafe in Paris…..I’m jealous!s 🙂 ENJOY!!! Love the movement ………and thanks.